Mitrix is home to dedicated developers with mature expertise and spotless professionalism, ready to join your project. With our dedicated development team in tow, you’ll get to know why industry leaders choose this cooperation model over any other. We offer two flexible DDC modes for you to start your team from the ground up or hand-pick as many members as you’re lacking on your project. 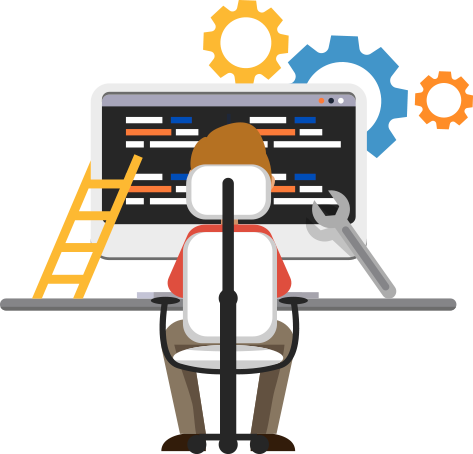 In both modes,, we make sure you hire dedicated developers of the best possible fit with your culture. Tap into our multidisciplinary talents to build up your full project skillset – from business analysis and design to development, testing and project management. We have diverse professionals for you to pick the ones with specialized competencies and augment your in-house team. We have strict working guidelines that help us deliver outstanding quality with zero risks for our clients. We build mature and well-balanced teams of senior (7+ years of experience) and middle developers. We’ll keep your workflows intact, becoming a fully integrated part of your company. We keep all our professionals in-house, so you can scale up and down easily. We build mature and well-balanced teams of senior (7+ years of experience) and middle developers. We’ll keep your workflows intact, becoming a fully integrated part of your company. We provide regular status reports and transparent time logging with free access to our tracking system. We guarantee time-efficient knowledge transfer at our expense should our employee leave your project for any reason. We have enough resources to collaborate on multiple projects at a time if the need arises. We are well-trained to work with innovative technologies such as , and moreIoT, AI, AR/VR, image analy. With a portfolio like ours, no project can take us by surprise any longer. We bring in years of field practice to reach your quality goals and cut time to market thanks to our proven approaches. In each project, we prioritize industry-specific requirements. This is how we deliver solutions that respond to our clients’ real-life challenges.